Salisbury Area Young Musicians is now the largest young musicians’ club in Wiltshire and has been offering musical opportunities for children and young people for 30 years. Thanks to a grant from Wiltshire Music Connect and financial support from the Friends of SAYM we are able to subsidise the membership subscription to keep it at an affordable level, but our weekly rehearsal venue hire costs alone are over £23,000 a year. If you feel that you are able to make a donation to help keep us going for another 30 years (or at least the next few!) then please do visit the website www.saym.org.uk. 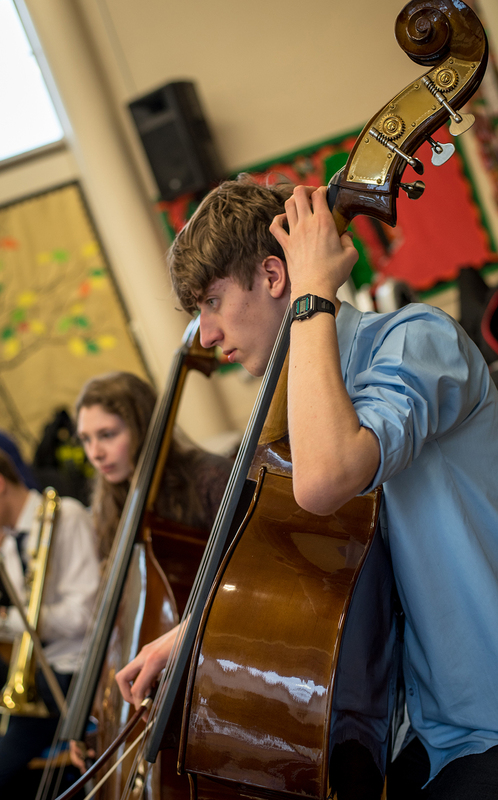 Any donation, whether big or small, one-off or regular will make a difference and will be a valuable contribution towards continuing to bring music-making alive for young musicians in Salisbury. £560 would buy a new glockenspiel! Add 25% more to your donation at no cost to you. A Gift Aid declaration allows Salisbury Area Young Musicians to claim tax back on eligible donations. It means that for every £1 you donate to Salisbury Area Young Musicians we can claim back 25p, at no extra cost to you. By ticking the "Yes" box, I agree I would like Salisbury Area Young Musicians to reclaim the tax on all qualifying donations I have made, as well as any future donations, until I notify them otherwise. I understand that if I pay less Income Tax and/or Capital Gains Tax than the amount of Gift Aid claimed on all my donations in that tax year I may be asked to pay any difference. I understand that Salisbury Area Young Musicians will reclaim 25p of tax on every £1 that I give. Gift Aid does not cost you a penny more, but can add an additional 25p to every £1 you donate. When Salisbury Area Young Musicians receives a donation from a UK taxpayer, we're entitled to claim an amount of tax (calculated at the basic rate of income tax in that year) paid on that donation. Once you have given your permission for us to do this on your behalf, there is no need for you to do anything else.